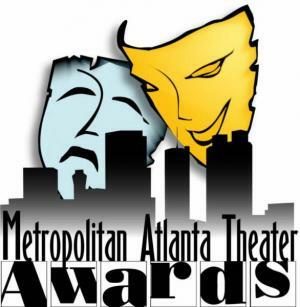 Over 300 local theater leaders, supporters and fans from throughout the Atlanta area will be on hand to recognize this year's nominees and winners at the Annual Metropolitan Atlanta Theater Awards Ceremony Sunday, September 27, at 6 p.m. at the Earl Smith Strand Theater in Marietta, GA. Since 2004, The Metropolitan Atlanta Theater (MAT) Awards has celebrated the talents of Atlanta's Community Theaters and Small Professional Theater Companies. The 2009 season brought 22 productions for consideration of awards, resulting in 116 nominees in 29 categories. Only a limited number of tickets remain at this time. If you haven't already made plans but would like to attend the ceremony, make your reservations today. Tickets are going fast! Come support your shows, reunite with old castmates and cheer the nominees on! DeWayne Morgan � "Arnold" � Torch Song Trilogy � The Process Theatre Co.
Jo Howarth � "Gloria" � Don't Look at the Fat Lady � The Process Theatre Co.
Bryan Lee � "David" � Torch Song Trilogy � The Process Theatre Co.
Allie Carroll � "Becky Spencer" � The Homecoming � Lionheart Theatre Co.
Emily Brooks � "Patty Cake Spencer" � The Homecoming � Lionheart Theatre Co.
Jane Kroessig � Don't Look at the Fat Lady � The Process Theatre Co.
Tim Link & Katy Clarke � The Homecoming � Lionheart Theatre Co.
Topher Payne � Above the Fold � The Process Theatre Co.
Barbara Cole Uterhardt � Torch Song Trilogy � The. Don't Look at the Fat Lady � The Process Theatre Co. Above the Fold � The Process Theatre Co.